During the Super Bowl on February 4th, Ally is going to give away cash prizes. Download the Free Ally app now and play the game during commercial breaks for your chance to win! Official Rules: open to US, DC, 18/age of majority and older. Begins on February 4 and ends on February 6. There is a limit of one Statement per person and per App registrant. Download the Free Ally game app starting on January 31st from the Google Play or App Store. Enter your email address here to get notified when the game becomes available. You will be prompted to identify a goal that you hope to achieve by saving money. You may either select a goal from a list of options provided by Sponsor via the App or write in a description of a goal. 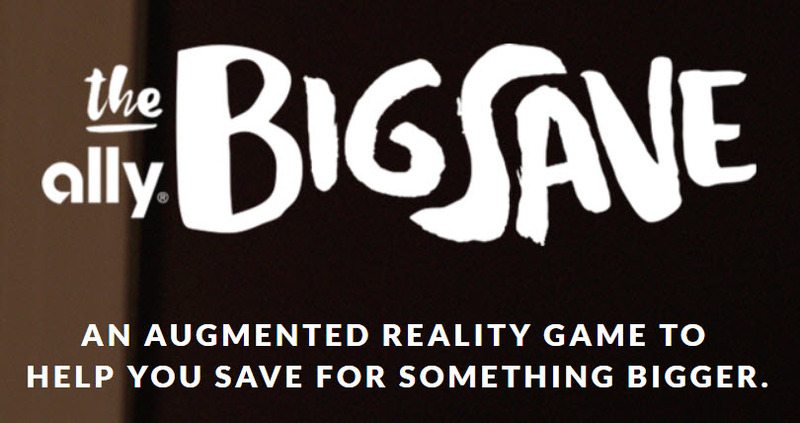 How to Enter During the Super Bowl: during Commercial Breaks, activate “The Ally Big Save” game app. Follow the instructions provided in the App to play the Game during one or more Commercial Breaks. The Game involves the player attempting to catch moving images of money and to drop the money into a piggy bank. Each player may play the Game one time during each Commercial Break and may play the Game multiple times during the Football Game telecast (up to one time per Commercial Break). A score is kept in the App each time a player plays the Game, and after the conclusion of the Entry Period, the highest score achieved by each player who completes the entry process and is eligible for the Contest. All Game play must be complete by the end of the last Commercial Break that takes place prior to the end of the Football Game. A Contest entry form will be made available via the App. After playing the Game at least once, follow the instructions provided in the App and complete and submit the entry form, including a statement written in English, consisting of no more than 1,000 characters, describing the reason(s) why you are saving for the goal previously indicated by you. You will not be entered in the Contest until all specified steps are completed. One First Prize Winner: The actual value of each prize will depend on the cost or fair market value of the item or savings goal that is identified in the winner’s Statement. The prize awarded to the eligible Entrant with the highest Combined Score will be an amount of money equivalent to the lesser of (i) the cost or fair market value, as applicable, of the item or savings goal that is identified in the First Prize Winner’s Statement and (ii) $250,000. If the First Prize is $250,000, then no additional prizes will be awarded. One Second Prize Winner: If the First Prize is less than $250,000, then the eligible Entrant with the next-highest Combined Score will be awarded a prize consisting of an amount of money equivalent to the lesser of (i) the cost or fair market value, as applicable, of the item or savings goal that is identified in the Second Prize Winner’s Statement and (ii) the amount that would bring the aggregate value of all prizes to $250,000. Additional Winners: This process will continue, with additional winners being selected and additional prizes being awarded on the same basis described above with respect to the Second Prize Winner, until Sponsor has awarded prizes that in the aggregate have a value of $250,000. Each prize will be awarded in the form of a check or another method determined by Sponsor. I had over 110,000 points that for whatever reason went away before the last 2 commercials. I ended up only getting 30,000 points. If you could please look into this as I ended up getting 80,000 points less than I should have. after all was said and done it looks like only my high score is what was counted. I don’t think they added up all the scores together. The score you get is only worth 20% the main goal is to have a good reason why you need the money. It was in the rules. I only got to type of half of my submission as to why my family needs this money. I got halfway through and the app froze and would not let me write anmore I was only halfway through my entry. My app will not let me submit at all it showed my highest score of over 67,000, but no submit. So far no one had responded to my support request. So it looks like I won’t be able to submit at all. Unfair to me.